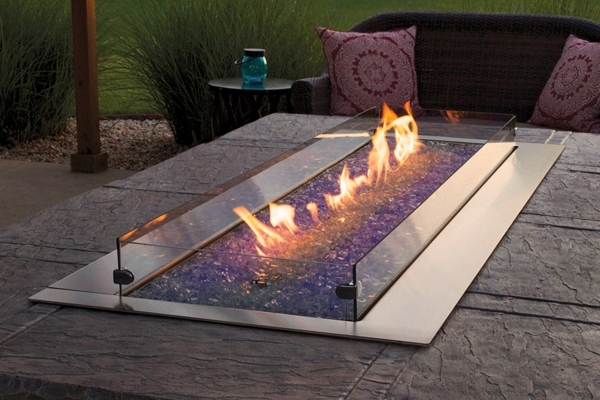 The Empire 60-in Glass Wind Deflector - For Carol Rose Fire Pits (OL60TP10 and OL60TP18) is an invaluable way to keep your fire burning even in those high wind conditions. It adds sophisticated style in addition to preventing flame outages. The glass material ensures a non-obstructive view of your fire. The wind deflector can be used in conjunction with the WC60LSS weather cover. It comes in a 4 piece tempered glass kit with corner braces.